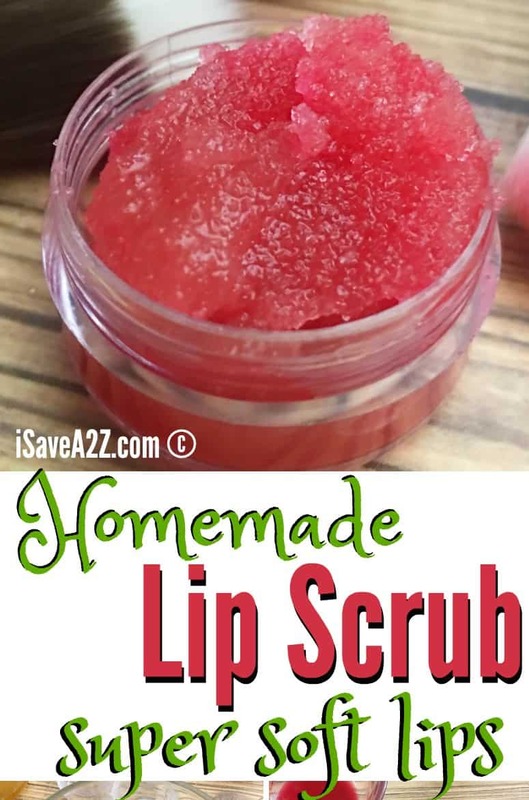 Homemade Sugar Lip Scrub Recipe for Super Soft Lips! 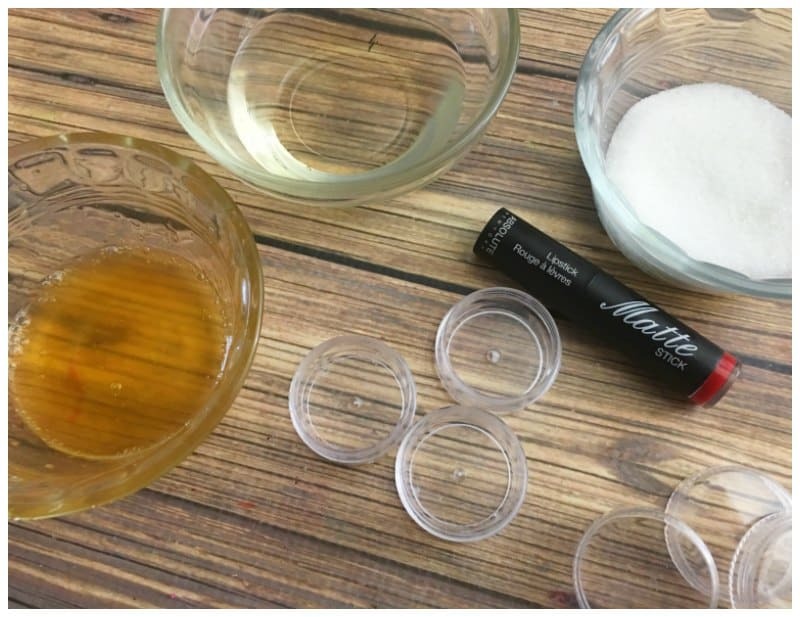 I never realized how much my lips needed exfoliating until I tried this Homemade Sugar Lip Scrub Recipe! Wow! My lips are super soft now! This homemade lip scrub works wonders. 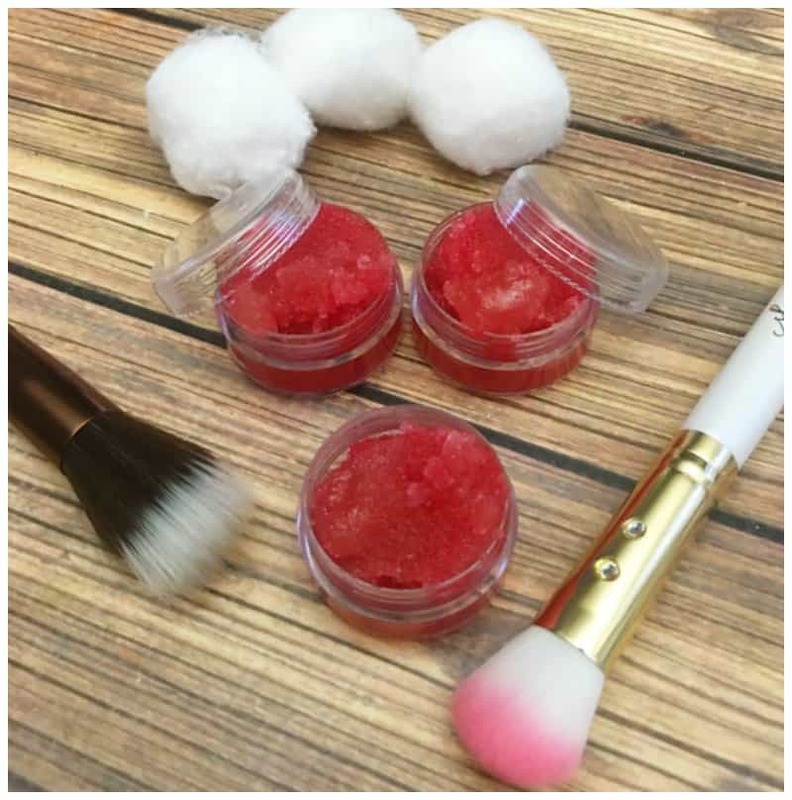 This sugar lip scrub solution is really easy to use too. 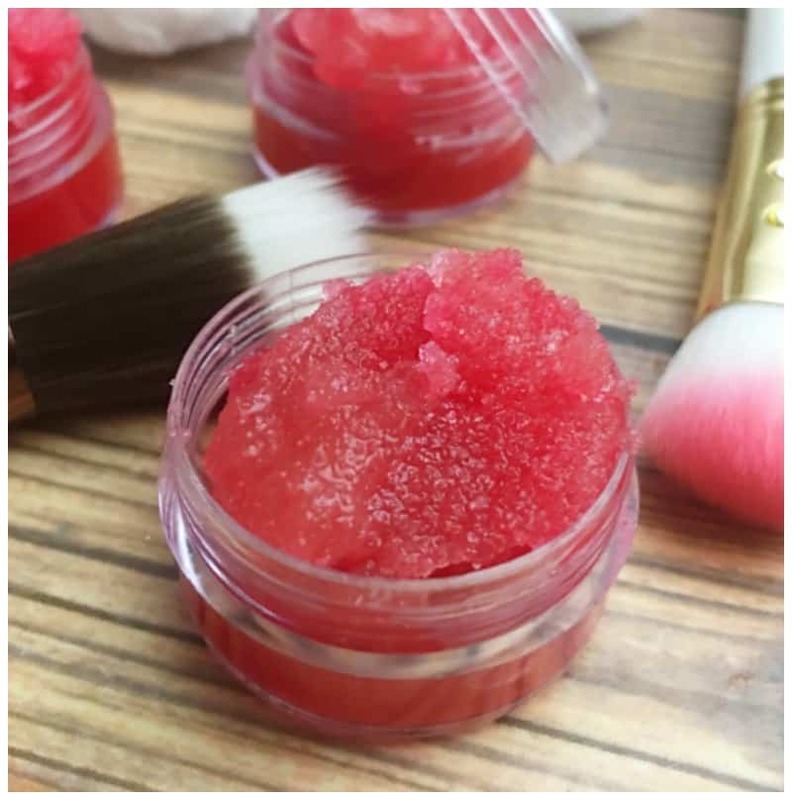 All you need to do is scrub a generous amount of this scrub on your lips. You will want to rub the solution into your lips in a circular motion (just like you are scrubbing it clean but not scrubbing it hard). Then rinse it with warm water. I now exfoliate my lips about once a week. If you wear a good amount of lip product this will be extremely helpful to you to prevent buildup. 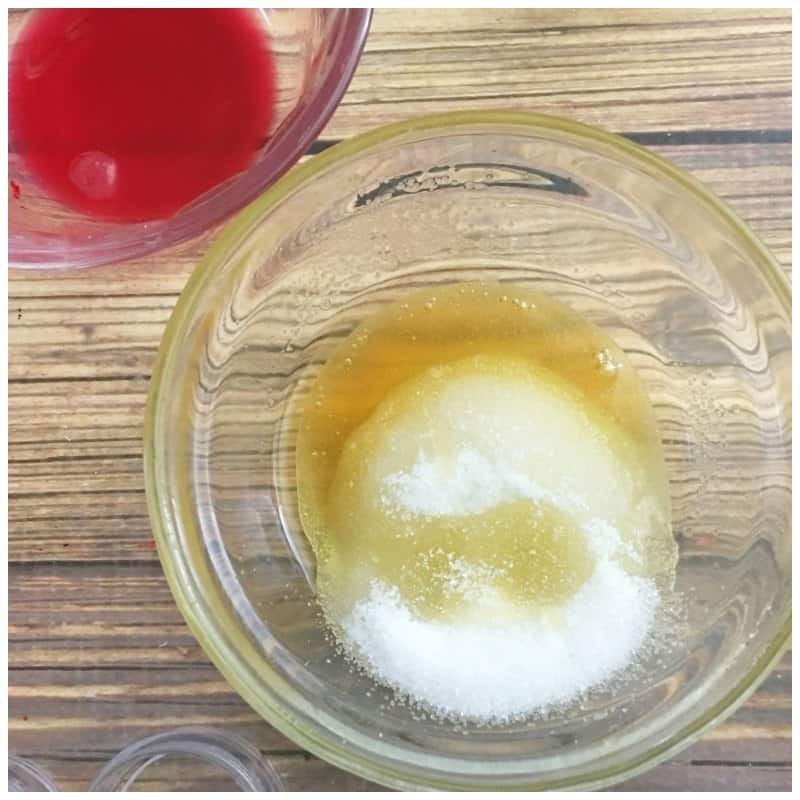 Here’s a recipe for this Homemade Sugar Lip Scrub you will definitely want to make over and over again. 3. In a small glass container, combine your sugar, honey, coconut oil/lipstick blend, and mix well with a wooden stir stick. 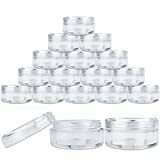 50, Clear, Empty, 5 Gram Plastic Pot Jars, Cosmetic Containers. You can double up on this recipe if you need to. I find these to be amazing homemade gift ideas too. If you are planning a girls night with tweens, this is an excellent DIY to do! Don’t forget to Pin It on Pinterest for later!! 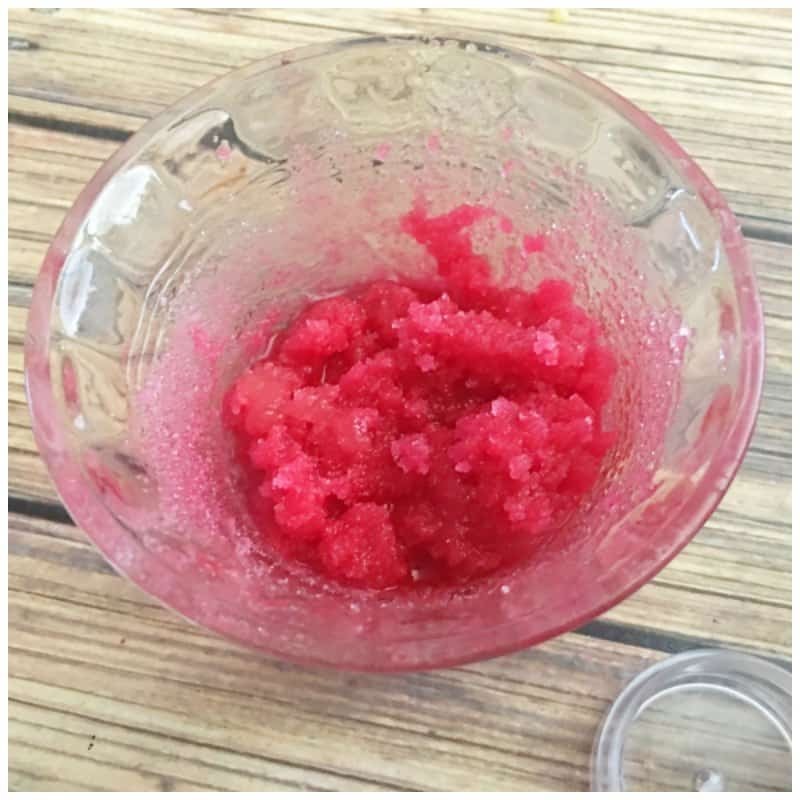 Have you made a homemade lip scrub before? By Jennifer on May 24, 2017 Crafts. These look wonderful. How long is the shelf life? Always nice to know when you are giving gifts.Also, I made another scrub with coconut oil and it tended to get very hard when the oil came back to room temperature. Is their a certain kind that doesn’t? 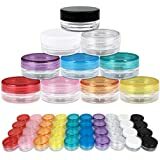 Thank you so much for your help! 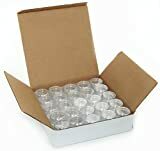 How long is the shelf life once put into the containers?